In a rather twisted way, I chose to run a 48 hours race before even trying a 24 hours one. It happened this March, and you can read all about it here. Since the 48 hours race didn’t go out very well (or, to put it in a more realistic light: it was a great learning experience, but not much of a sport event) I decided to try the “baby steps” approach: I signed up for a 24 hours race, which I just finished this Sunday. Incidentally, it was a race organized in Romania, Timisoara (a town which always gives me the chills, because I served as a soldier there, twenty something years ago), by a person that I know form my current circle of running friends. What follows is the story of the first edition of S24h (that’s the name of the event). The race was organized amazingly well (compared with the 48 hours race it was 10 or 20 times better), the weather was nice (the temperature difference between day and night was quite significant, but that was also predictable, given the time of the year) and we ran a 1.2 km lap, in a very nice park. We stayed at a friend’s house, which was just 1 km away from the course – a very important detail, not only for getting there on time at the start, but mostly for after the finish. Raluca was with me in this trip as a companion, not necessarily as crew, so she stayed at our friends house and just visited me for a couple of hours in the afternoon. I did my best to prepare for this race as I was going to be self-sustained, without crew, and, from this point of view, it went rather well. The morning of the race I left the house a 7AM (the start was at 8AM) carrying a small stroller in which I had clothes (many clothes), basic medical stuff, a few supplements (magnesium, C vitamin), stuff to eat and drink (nuts, dates, coconut water), a head lamp and a couple of power banks. We started at 8AM, as planned, without too many bells and whistles. I planned to bank at lest 30-40km of continuous running during this first part of the race, so I put on my earbuds, fired up some music and pushed on. The first 3 hours of the race were, basically, without history. Nothing significant happened, apart from me keeping a steady 5:50/km pace. And that’s exactly what you should aim for in an ultra: no sudden events. Alas, things are quite fragile and, very soon, a few unexpected glitches put me in a no man’s land for a few good hours. Before getting to the nitty-gritty stuff, I think it’s important to let you know what is my motivation for these very long races. The first, and the most important, accounting probably for 50% of it all, it’s about mental benefit. I don’t run in order to create a better body (although I’m very interested in keeping a healthy and fit body, obviously) but mostly because I want to train my mind. It’s a form of moving meditation. It’s also important to note that for me meditation is not mental spa (incense, nice music and spacing out in an attempt to avoid reality) but rather a mental martial art, in which I learn the proper, most constructive response I can choose in various situations. For instance, being able to overcome unexpected events, to go over mental fatigue, to identify deeply engrained behaviors that are otherwise hidden during the day. 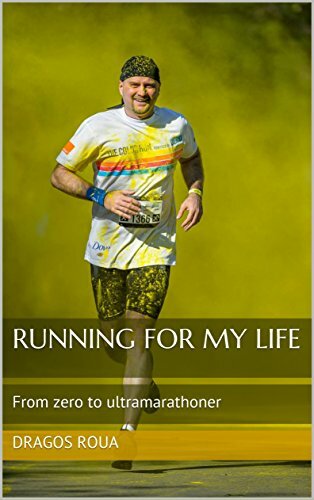 Running ultramarathons is a very good tool for uncovering those hidden approaches (also known as “unconscious behaviors”) because, during a race, you can’t run away from them anymore. You’re already running, there’s nowhere else to go. You have to face your own demons. With that being said, let’s get back to the race. During a 24 hours race it’s almost impossible not to hit some event completely unpredictable. In this race I had like 4 of them, in the first part of the day. The first one was caused by me falling. It’s the second time I stumble and fall in a race (the first one was at the 48 hours race, in the spring) but this time I managed to get out of it basically with no damage. The road was getting a bit battered and there were a few uneven tiles getting out from the surface. I “took” one of them with the tip of my left shoe and the next thing I know is that the earth is rushing towards me. As I was calculating how to manage the impact I couldn’t help my self to think about the fact that this is almost identical with the 48 hours race. There were only 2 differences: this time I felt during the day and I knew there was going to be absolutely no damage. I gently hit the ground, rolling on my back and on my chest and that was it. Nothing, not even a scratch. I got up the very next second and continued to run. The second thing was that I suddenly had to hit the toilets, with a very pressing “number two”. I had very mixed feelings about that: on one hand I was actually happy, because it meant my body was functioning as expected (it wasn’t a bad “number two”, but nevertheless pressing, if you know what I mean), but on the other hand I knew I was losing precious time. In total, I lost about 15 minutes. I felt much better after that, but 15 minutes were like 2 kilometers less. The third thing was that my shoes were starting to fall me. Not the shoes, exactly, but the way I was interacting with them. I could feel the infamous “blister potential” unfolding. For those of you who don’t know, during Ultrabalaton, last year, I had some very ugly blisters, on the front part of my soles. It took weeks until they healed, but they were never completely healed, and every time I was exposing the skin to repeated shocks, especially after 100km, the “blisters potential” was there again. In my training I did a lot of research and tried many types of socks, different running techniques or different shoes, because the “blister situation” was the biggest stopper during my last ultras. So, when I felt the tiniest sign that the blister may arise again, I stopped and checked my feet. I replaced my shoes twice in 2 hours, which also took away another 15 minutes. The good news is that I was able to find a sock/running shoe combination which stopped the blisters in their infancy and was also a bit gentler on my ankles (the running surface was kinda tough). And the 4th one was basically a biz call. I know it sounds strange but people do call me sometimes during weekends with business related situations. I didn’t know the extent of the urgency, so I took the call. It was something important (my intuition worked ok). So it then took me another good 5 minutes to manage this situation (during the calls I walked, obviously I couldn’t run). All in all, these 4 separated events created a “shock” effect, which resulted in an almost complete breakdown. None of them was big enough to create damage, but the combination was a bit too much. I just couldn’t find my pace anymore. To add insult to injury, it also got quite hot. So, after the first 30km, which were absolutely beautiful, and covered in less than 3 hours, I had 9 hours in which I could barely cover a meager 57.5 km. Normally, at that time in the race, after 12 hours, I would expect to have at least 105km finished. Instead, I didn’t even covered 90. Starting with 8PM, after exactly 12 hours, things improved significantly. Fist of all, it wasn’t so hot anymore. Second, the 12 hours relay and individual runners were off, so the course was much, much cleaner. We were only 30 something runners circling around. I could focus better and I was able to sustain a constant, albeit slow, pace. In the next 4 hours I covered almost 30 kilometers (27.5, to be honest). After 12 hours of being on the track that was a good thing. Nutrition and hydration were also in the parameters and the huge amount of clothing that I took with me was finally paying off. I was able to fine tune my layers, based on the most adapted strategy: if I knew I would keep a slow pace, I would took a thicker jacket, not to get cold, but if I knew I want to push a bit harder, I had a thinner jacket, which allowed me to breathe and dry (sweating and not drying up when it’s cold outside can become a problem really fast). Another thing that happened around midnight was that many runners were hitting the sleeping bag. Although the race was packed with very good runners, it was also end of the season and many of them were too tired to push more, because they pushed a lot during the season. So like half of them decided to go to sleep. That opened a very unexpected opportunity window for me. At mid-race I was on the 16th position (out of 33 runners) but starting midnight I was constantly climbing up. Just moving forward on the circuit, while the others were sleeping, was enough to push me up in the rankings. I love running in the dark. I’m also a bit of a loner, or at least not a very social person, so I enjoy running on a much less crowded circuit. So the night was like a godsend. I made very constant progress and I was feeling better and better. I started to have some muscle problems but nothing that could prevent me from walking / running. After 20 hours of effort that’s something normal. The runners that were still on the circuit were slowly deteriorating, but, somehow, I was able to experiment with different paces and different nutrition schemes. With just 3 hours before the end I was in the 8th position. At that moment I decided to hold on to that position, no matter what. That meant that I had to keep moving at a constant pace (and not walking) just in case the rest of the runners were waking up and start moving again. They were also supposed to be fresher, after the sleep. At that moment too, the morning broke in. I am very much in love with this specific moment. In my mediation lingo, I call it the “second dawn” and it carries a special significance. It tells me that I made it over night (which is the demons territory, of course), it tells me that there will be light and warmth again, it tells me that I lived up to my own expectations. With that boost in energy I started to look closer to the ranking board, every time I was crossing the timing gate. And that’s when something very strange happened. The difference – in laps – between me and the runner behind me, was slowly decreasing (or at least that’s what I perceived). But I wasn’t able to see the guy passing me by. He seemed to get closer to me but I never saw him passing me by. That was very strange. I even called one of the organizers and told her about that. They looked it over and didn’t find anything suspicious. But I was still not seeing the guy on the circuit. And then it hit me: there was a very good chance that we were running with the exact same speed. And the difference in laps between me and him was actually constant while the difference between me and the guys that I was passing by was increasing. So, it may have been my own faulty judgement. Anyway, I felt strange. So, I decided to confront this. After I crossed the timing gate again, around 7AM, I waited for him to appear. After 5 minutes, he appeared and he told me he was “hunting” me for a couple of hours. So, the theory of running at the exact same speed was holding on. I gave him 200 meters advance, then I sprinted. After a lap in which I was pushing it big time (without feeling too bad, to my surprise) I reached the timing gate 500 meters in front of him. I waited at the timing gate again, just to see him coming and then sprinted again. Now I was sure that was at least half a lap between us. And, more important, the suspicion vanished. Looking back, I can trace the moment when I became suspicious and why that happened. During the 48 hours race I ran in the spring, in Greece, something similar happened. I was head to head with another runner and although I couldn’t see it on the circuit, he seemed to always be one lap in front of me, no matter how hard I was trying to push. It turned out that, in that specific case, the runner was cheating (crossing a gate half-distance, resulting in laps ran at 4m/km, something quite impossible after 45 hours). But this time there was really nothing like that. And the fact that I confronted the situation, by waiting for the other runner and leveling up, instead of building up scenarios in my head, was a huge benefit. I just dissolved something that could have had a long lasting potential of bitterness and depression. Not to mention the fact that it pushed me to run 2 laps at 4:30/km, just one hour before the end of the race. Boy, that felt good! After this incident there was nothing special anymore. The organizers gave us a banana with 15 minutes before the end, each banana having our race number written on it. When the bell sounded, marking the end of the 24 hours, we had to put down the banana, and the organizers were coming up to measure the extra distance for each of us. I found this quite funny. I finished the race in the 8th position overall (7th for the masculine race), covering 163.5 kilometers, with zero damage and a very good feeling. Got to our friends house on my feet, showered, took care of a few areas where chafing was a bit too much, slept for 2-3 hours and that was that. Life’s the same again and I’m already doing some research for the next race.